Sheila Hartman, president and founder of Financial Independence Company Insurance Services (FICIS) of Woodland Hills, California is known as a "goodwill ambassador" for the insurance industry. Her national, full - service insurance brokerage specializes in providing affordable insurance services and bilingual education and training to her clients' diverse workforce of multicultural, hourly employees. Considered a leader in her industry for setting a new standard for education and customer service in multiple industries, her main focus has been hospitality. FICIS has represented some of the top, national hotel chains in the country such as Sheraton Hotels and Wyndham Hotels & Resorts. Currently she represents Cendant franchisee hotel chains: Ramada Inns, Super 8, Days Inn, Knight Inn, Travelodge, Amerihost Inn, Wingate, Howard Johnson and Villager. Her company also represents leading real estate companies: Century 21, Coldwell Banker, ERA and Sotheby's International; noted travel firm, Galileo International; vehicle rental: Avis, Budget; prestigious financial company Jackson Hewitt Tax Service and leading manufacturing firms. Born in Florida and raised in Mexico, Sheila came to United States at age 13 when her parents moved to the USA. After earning a Bachelor's Degree in education from California State University, Los Angeles, she attained her teaching credentials. Over the next fourteen years, Sheila taught Spanish, English as a second language, and Special Education for the Los Angeles Unified School District and the William S. Hart School System as well as teaching Spanish language skills to adults. In 1983, she transitioned into the insurance industry recognizing that the growing Spanish- speaking market was not being served by the insurance industry. Her mission then, and remains the same today, was to service this market by providing education and training for the minority workforce to properly utilize the insurance benefits offered by their employers. Sheila's first major client was Sheraton Hotels for which she provided medical and dental insurance benefits. Recognizing the value of her staff's bilingual capabilities and outreach services, her company was hired to represent Sheratons' entire Western Region (approximately 20,000 employees at thirty (30) hotels). For the next twelve years, FICIS provided insurance services to the Sheraton chain until their corporate acquisition by Starwood. As word spread of her company's added â€“ value services with the bilingual workforce, Sheila's company became the broker/consultant for Wyndham Hotels & Resorts and remained as such for over 10 years. Always thinking "out of the box," Sheila has made a name for herself and her company by creating innovative solutions to meet the needs of today's employers. FICIS offers a full range of insurance packages for all classifications of employees: salaried, hourly, part time, seasonal, 1099 employees, and executive benefits plans for top - level management. With her goal to provide affordable healthcare and lifestyle benefits to the forty-one (41) million, currently, uninsured Americans, Sheila's remains committed to the needs of the multi-cultural workforce. Sheila chose the name Financial Independence Company for her business to acknowledge the vision that immigrants have of the United States â€“ "The Land of Dreams, The Land of Opportunities." Sheila states: "People come to this country from all over the world to become financially independent." "Our logo, the American flag, is a symbol of this country and the opportunity we give to everyone; our focus on diversity is to educate and provide added value to employers with a large minority workforce." As president of FICIS, Sheila Hartman has received multiple awards for her company's growth, leadership, and high level of service offered. 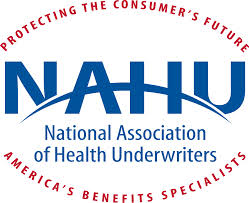 Since 1997, her company has been awarded eight "Golden Eagle Awards" from the National Association of Health Underwriters. In 2000, Sheila was inducted into the National Association of Women Business Owners (NAWBO) "Hall of Fame" and listed in the prestigious Who's Who in North America, Special Limited Edition. In 2002, Sheila was selected as NAWBO's "Member of the Year." In 2004, Sheila was honored as one of the Top 25 Women Business Honorees in the Los Angeles County. Sheila Hartman is a member for the American Resort and Development Association and a member of the American Hotel and Lodging Association. She serves on the American Hotel & Lodging Association's Multicultural Diversity Advisory Council and Advisory Council of Small and Independent Properties as well as their Government Affairs Committee. Sheila was recently appointed to the Hospitality Industry Diversity Institute Advisory Board at the University of Houston. In addition, she is an active supporter of the American Hotel & Lodging Educational Foundation, the National Association of Health Underwriters, and serves on the board of the Pacific Boys Lodge, the San Gabriel Valley Council, Boy Scouts of America and the Los Angeles Jewish Symphony. Howard S. Hartman is Chairman of FINANCIAL INDEPENDENCE CO. INSURANCE SERVICES, INC. and specializes in developing employee benefit products that are customized for clients nationally and worldwide. He is also President of PROFESSIONAL PARTNERS GROUP, a company that provides creative and cost-effective executive benefits. Howard has been a corporate financial planning professional for 30 years and is the former director/founder of the Bear Stearns Financial Services and Benefits Group in Los Angeles.